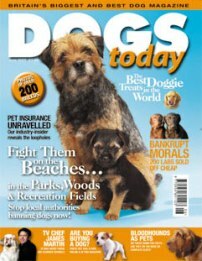 As a type of hunting, terrier work is inefficient, very selective, and almost never results in an animal being left to die wounded and unfound. 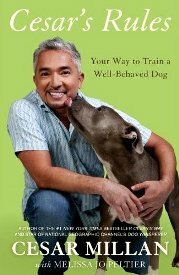 In addition, terrier work generally allows an animal to be moved off a farm if that is required or prefered, and all of the animals hunted with terriers in American are at historically high population densities. 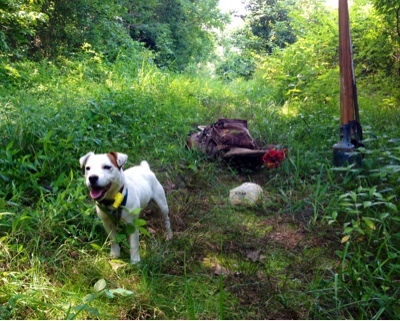 In this sense, terrier work is an ideal form of nuisance animal control, and one of the very best forms of hunting. Inefficiency means that terrier work cannot have a major impact on animal populations over a wide area, but can knock down a selected type of nuisance wildlife on a farm. Selectivity means that, unlike trapping, there is little or no bycatch, and animals can easily be allowed to bolt off unharmed if that is desired. Humaness and safety are raised to an art because if animals are terminated (and they are often let go) it is done swiftly in the den with the efficiency of a direct bolt to the braincase -- there is very little chance that a young animal will be left orphaned, that a shot will not be terminal, or that a bullet will whiz to places unintended. Since American terrier work is focused solely on animals at a historically high population abundance (groundhog, raccoon, possum, and red fox), thinning out these populations is more likely to be helping a farm environment return to balance, rather than move it out of balance. 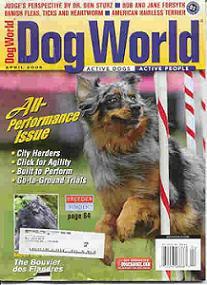 Finally, there is the fact that terrier work, like all hunting with dogs, is a real economic engine. 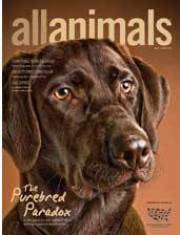 Hunters spent more than $605 million on their hunting dogs last year -- well more than the $513 million skiers spent on ski equipment. If the average working terrier enthusiast sat down and calculated how much he or she spent on their dogs every year (travel, gasoline, hunting licenses, veterinary care, fencing, purchase of special vehicles, etc.) they might find the financial outlay rather shocking. A $200 groundhog? A job created for every person that actually digs in this country? Easily. 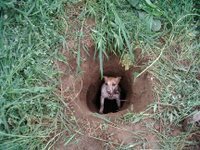 In the U.S., working a terrier or lurcher is a rare enough occurence that the practice is not covered by one law, but by a confusing tapesty of laws that change from state to state, location to location, season to season, and from quarry animal to quarry animal. That said, terrier work is clearly legal provided that some basic rules are followed. Before we get into those rules, however, a review of the basic rationale behind our hunting laws is perhaps in order. The reason we have hunting laws at all are : 1) safety; 2) maintenance of stable and sustainable animal population numbers, and; 3) revenue collection to fund land and wildlife conservation programs (including the protection of nongame species). Now for a general overview of the law and the rules of thumb. This is a broad overview; please consult state and local wildlife laws for specific regulations governing hunting in your area. Hunting License: No matter what you are hunting, whether on public land or private, you should have a valid state hunting license. 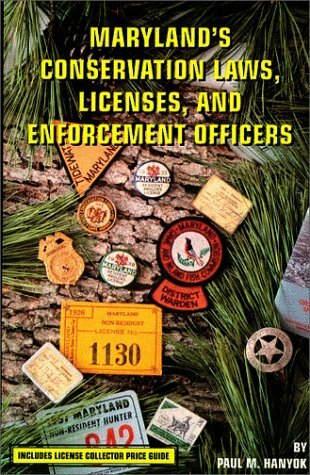 Having a current hunting license on your person while hunting will solve a lot of headaches should you run into a game warden or accidently trespass on a neighboring farm. 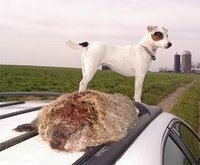 If you are on a one-day excursion out of state, and solely hunting groundhog, I would suggest confining your terrier work to private farms with all dispatch done by a state hunting license holder. Guns: Discharge of a gun is generally illegal within the line of sight of a building or near a road, even if you are shooting down a hole, and as a consequence the legality of using a gun for dispatch may change not only from farm to farm, but from location to location on a farm. Guns are not necessary for terrier work, and I suggest not carrying them at all. If you do not have a gun, and are simply working a dog, many states do not consider you to be hunting at all. The presence of a gun instantly changes the liability equation for a farmer (or his neighbor) and the legal threshold for any violation that might accidentally occur (such as trespass). 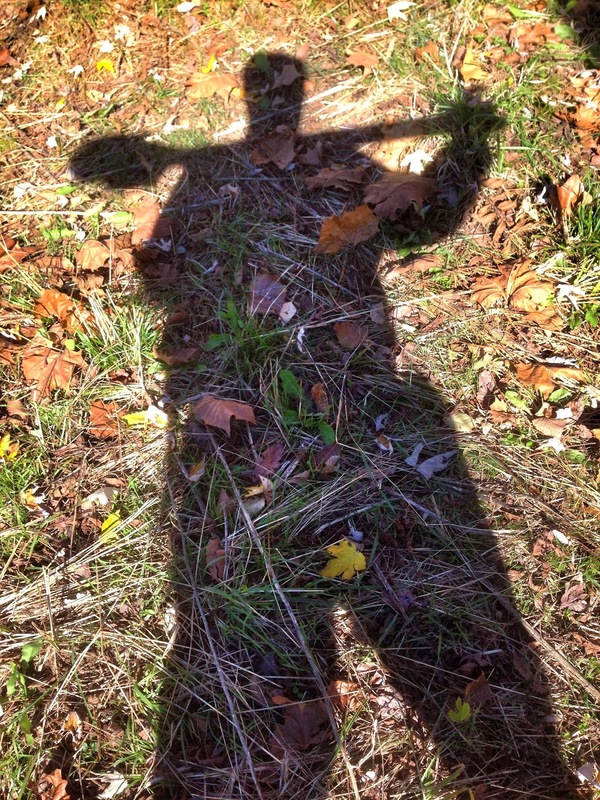 If dispatch is needed (it often is not), it can be done swifly and efficiently with a blow to the head with the back of a machete, digging bar or (in a pinch) a shovel. If you have a hunting license with you, and you do not have a gun, you have avoided the two biggest legal headaches you may encouter while hunting in the field. Private Lands vs. Public Lands: As a general rule, terrier work on private land with permission from the land owner is less regulated than terrier work on public land. In most states (but not all), nuisance wildlife may be legally dispatched on private land year-round, and there is little or no chance of encountering a wildlife control officer if you stay away from major roads. When hunting in public Wildllife Management Areas, always have a hunting license with you and be aware of the season. If it is deer hunting or turkey season, you must wear a hunter-orange hat and/or vest, and some serious thought should be given to whether you want to have loose dogs on the ground at all. Most deer hunters are shooting from fixed blinds, however, and if you know where those blinds are, and stay away from them, you should be fine. When working public lands, be aware that cutting trees and brush may be illegal and as a consequence as little cutting back should be done as possible. A parachute cord in your kit can often be used to pull brush back, obviating major cutting around a digging site. Fox and Raccoon: In most states, fox and raccoon have late-fall and winter hunting seasons, and hunting these animals is regulated by the season for furbearers. The term furbearer is a term of art that refers to a specific list of animals in each state, not the actual presence of fur. In most states, groundhogs are not considered furbearers, and skunk and possums may be exempt as well. Some states (such as Virginia and Maryland) have widely divergent laws for fox hunting that may change from county to county. In some Maryland counties, for example, fox may be hunted and killed year-round, while in others they can be chased year-round but not killed (note that both laws were written by mounted fox hunters for mounted fox hunters). In general, fox hunting in Maryland (as in most states) is legal in season, while fox hunting without a gun and with dogs alone is legal all year long. In many states it is illegal to destroy the den of a fur bearer (a term which does not include a groundhog). In reality, this law does not make much sense, as fox dens are routinely destroyed when farmers plow their corn fields in May. That said, the intent of the law seems to be to protect fox dens with young inside, and a wide birth should be given to possible fox dens between March 1 and the end of May when that condition is most likely to hold true. If at all possible, it is best to bolt fox from dens rather than dig them, and this is especially true on public lands. 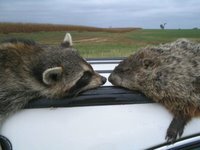 Groundhog and Possum: Groundhog are considered an agricultural pest in most states where they are prevalent, and most state games law reflect that position. For example, in Maryland and Virginia, there is a ban on Sunday hunting, except for groundhogs on private property and unarmed fox hunting with dogs (i.e. terrier work as I practice it). In addition, in most states there is no season on groundhog hunting, nor is there a bag limit. In Virginia, the only other other animals with similar "open season, unlimited take" provisions are rats and pigeons, which should give you some idea of where groundhog fall on the protection pecking order. 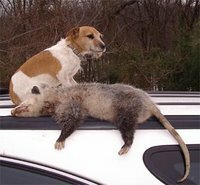 Possum mortality is naturally high (about 90 percent a year), and in many states these animals are not classified as protected wildlife. Relocating Animals: In order to reduce any chance that someone might accidentally trap and move a rabid animal to a new location, most states make it illegal to move wildlife. If you are relocating a nuisance animal, do not move it very far -- a few miles is generally enough to get if off the farm, with little chance it will return. 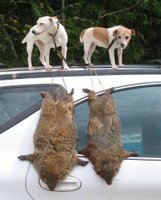 Discretion, Common Sense and Stewardship: Terrier work, like all hunting, should never be done near roads, foot paths or parking lots. If you are working legal public lands (i.e. a Wildlife Management Area), priority should be given to others in the area, whether they are birders, hikers or deer hunters. Your goal should be to keep a low profile, avoid drawing attention to yourself, and to leave the land as you found it. Close all gates, do not drive on to soft ground or planted fields, and do not trespass. All holes should be well filled after being dug, and the raw earth covered with such forest and field detritus as can be found. If you are taking new people out, take the time to teach and lead by positive example. There are fools engaged in all types of activity, including hunting. Try not to be one of them. Are you going to be OK, in terms of the law, if you follow the basic points laid out above? I think so, but you need to spend time researching state and local game laws at your Department of Natural Resources' web site. The typical DNR does not make this easy, especially if you are not doing something as traditional as deer or turkey hunting. That said, if you root around on the typical DNR web site, you should find some variation of the core points set out above.